Shallow open water of marshes, ditches, and slow moving streams. 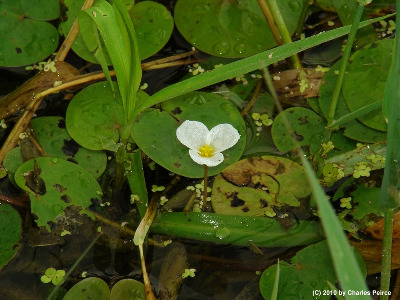 A serious invasive pest spreading rapidly in the eastern Great Lakes region, and aggressively covering large areas of shallow open water. First collected in Michigan by D. A. Albert in 1996 in Wayne Co. See Gardner (2008) for additional information. MICHIGAN FLORA ONLINE. A. A. Reznicek, E. G. Voss, & B. S. Walters. February 2011. University of Michigan. Web. 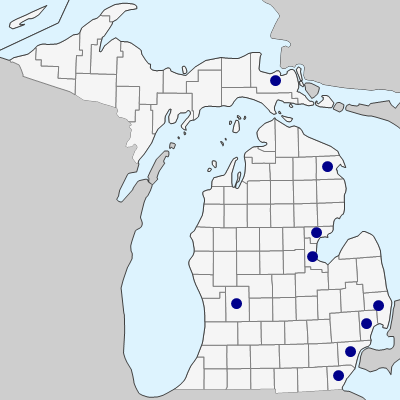 April 21, 2019. https://michiganflora.net/species.aspx?id=1449.